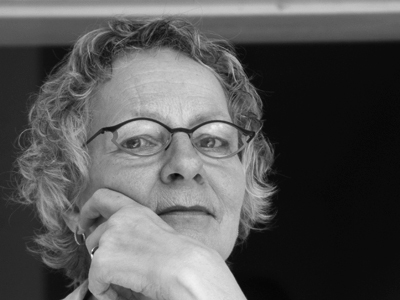 Joke van Kampen is a media and communication for development expert. She started her career as a journalist working at the foreign desk of the national broadcaster and the oldest left wing intellectual weekly magazine in the Netherlands. In 1993 she started working for the UN, and for the next ten years worked on media interventions promoting family planning, reproductive and sexual rights and health in different arenas and on various levels: at a national level in 8 Asian countries through radio shows, soap operas, youth talkshows etc., on an international level through a constant effort to keep reproductive and sexual health and rights on the agenda of international media through journalist field trips, high profile media events, debates on controversial issues such as abortion, LGBT issues and the so-called “control of sexuality” debate. She was also the chief editor of the homeless magazine in Amsterdam during these years. She came to Malawi in 2005 as a director of Story Workshop, a media NGO, carrying out mass media interventions on issues relevant to development, human rights, good governance and gender issues. Story Workshop produced a wide variety of media: radio, tv, comic books, newspaper inserts, books, leaflets and many other things. Story Workshop’s long lasting soap opera on radio remained the most popular radio program for many years in a row. Joke now works as an independent consultant especially UN agencies, concentrating on sexual and reproductive health and rights, women and child rights.